A Federal Judge in Florida says the Obama administration's historic health overhaul is unconstitutional, siding with 26 states that had sued to block it. The next stop is likely the U.S. Supreme Court. Two other federal judges have upheld the insurance requirement, but a federal judge in Virginia also ruled the insurance provision violates the Constitution. In his ruling, Vinson went further than the Virginia judge and declared the entire health care law unconstitutional. "This is obviously a very difficult task," he wrote in a 78-page ruling. "Regardless of how laudable its attempts may have been to accomplish these goals in passing the Act, Congress must operate within the bounds established by the Constitution." 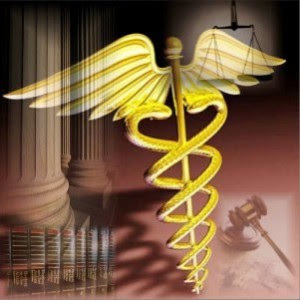 Attorneys for President Obama's administration had argued that the health care system was part of the interstate commerce system. They said the government can levy a tax penalty on Americans who decide not to purchase health insurance because all Americans are consumers of medical care. Florida's former Republican attorney general, Bill McCollum, filed the lawsuit just minutes after Obama signed the 10-year, $938 billion health care bill into law last March. He chose a court in Pensacola, one of Florida's most conservative cities. The nation's most influential small business lobby, the National Federation of Independent Business, also joined. Note: Though I dislike this Bill for the Governmental Control it labors upon the Healthcare system, the Republicans have made a major point of saying it will bankrupt America by costing almost a Trillion dollars over the next twelve years. They have NO PROBLEM though with spending 750 Billion EACH YEAR on War...No, the Republicanss won't agree to pay to make you better but they sure as hell will to kill our soldiers and chase after oil.